Make your brand popularity soar! 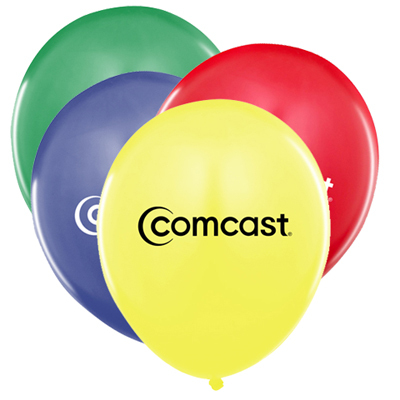 Custom Balloons are popular among individuals of all age groups. They are available in several shapes, colors and are quite inexpensive. What’s more, they are suitable for all kinds of occasions –birthday parties, wedding ceremonies, trade shows, and get-togethers. 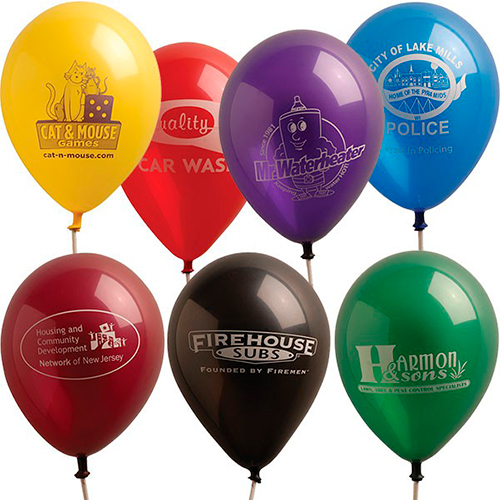 Promotional Balloons rank among the most economical giveaways you will come across! Balloons make surroundings vibrant and cheerful. They can be easily used anywhere. 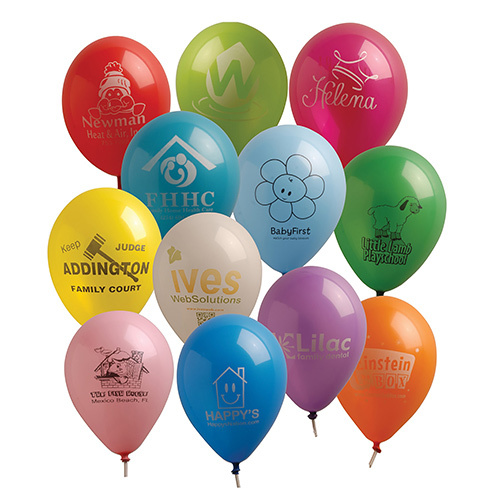 Choose from our range of imprinted balloons if you are looking to have a visually appealing party or event. Get your brand name imprinted on them and use them as giveaways for your guests or as decorative items. 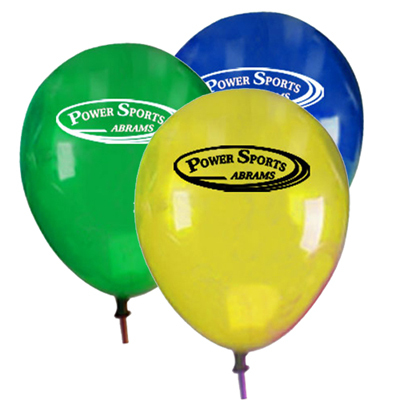 The balloons that you see on our site are made from 100% natural latex. They are completely biodegradable and environmentally safe. 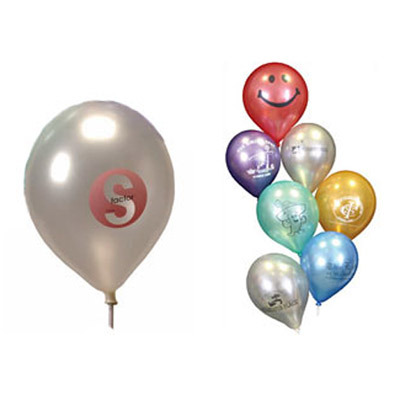 We have a range of balloons for all sorts of occasions and at very cost-effective prices. And, if you want to distribute in bulk, place your order with us and get the best prices in the market.